Have you gotten your ticket yet? 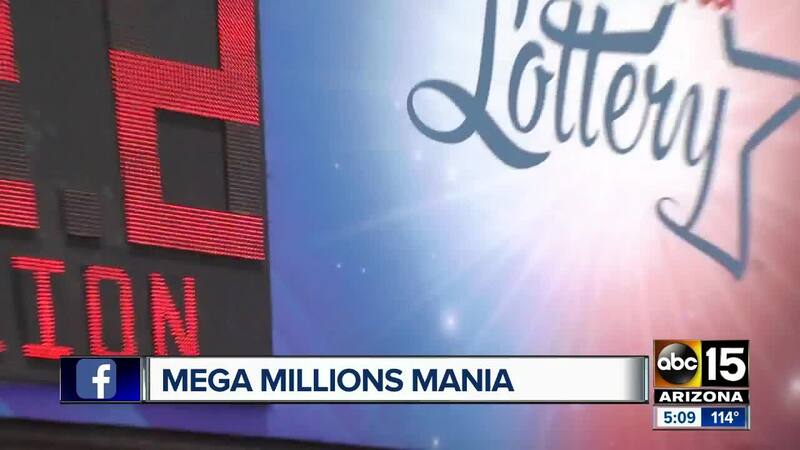 Mega Millions mania is sweeping the Valley as the jackpot has hit half a billion dollars. Feeling lucky? Mega Millions and Powerball have both been boasting major jackpots recently, and there may be some lottery retailers you want to visit before those drawings. Six locations around our state have each sold $1 million tickets to winners in the last year, including the most recent one on July 24, which was purchased at a 7-Eleven near 67th Avenue and Camelback Road. 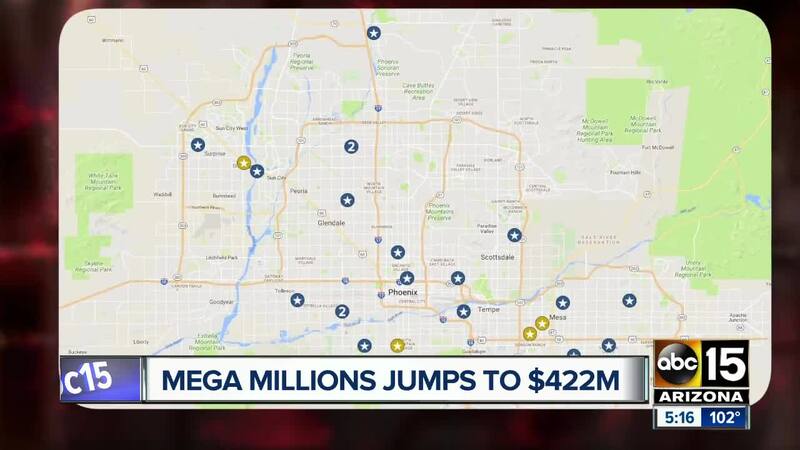 With the Powerball at $750 million on Wednesday and the Mega Millions recently reaching $548 million, ABC15 obtained data from the Arizona Lottery of the top 41 payouts for Powerball and Mega Millions since 2017. These winnings totaled $7.235 million. Expand each point in the map below to see how much was won at each location. Points in gold have issued $1 million tickets in the last year. A Fry's grocery store sold two of the top winning tickets in the state, near 43rd Avenue and Bell Road in Glendale.